Brite Wires are specially formulated to give your guitar a crisp attack, with the nickel plating adding warmth to the overall tone. These strings feature Gibson's Swedish steel "hex" core for added tuning stability. Brite Wires tune up fast, and hold their tone longer. No matter what style of music you play, you'll hear why Brite Wires are the choice of professionals worldwide! Sound: Big, full and very articulate, even sound all the way across all six strings. Very punch and crisp sounding. This is the BEST string I have ever put on my Telecaster American Standard. These sound far better than anything I've tried and played on my Telecaster in 19 years. I am totally sold on these strings. I used to run Fenders on this guitar until D'addario began making Fender strings!I won't ever have any D'addario or anything else but these Gibson Brite Wires 10's on my guitar so long as they keep making them this way. Feature: These stay in tune nicely and show no signs of wear or getting dull sounding. Ease of Use: Nice sound...easy to like. Quality: Great tension, and look nice too. Value: Price nicely...anyone can afford these. Manufacturer Support: Hadn't had to use support. The Wow Factor: Great package and nicely sealed. Overall: I have finally found strings I can live with and be totally satisfied night after night of playing. Good job Gibson! This review has been selected by our experts as particularly helpful. 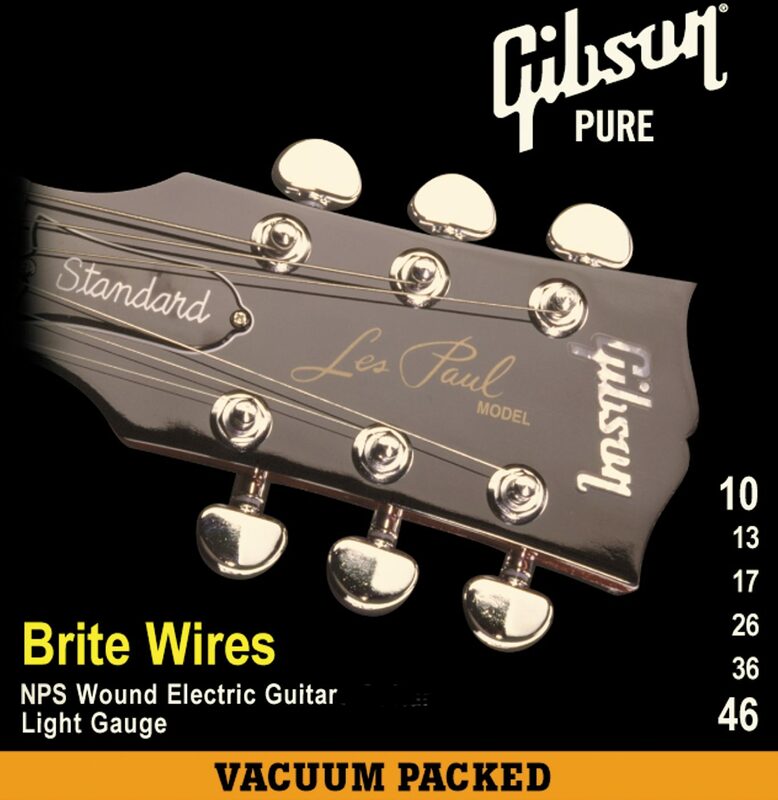 "Gibson's Brite Wire"
Sound: These are without doubt the best electric guitar strings I have used in more than 40 years of playing. Even on my Epi Les Paul and SG, they put out a clear, strong tone, and the more you push the gain the clarity remains almost intact and definitely soaring. Gibson has outdone itself with these strings and I think that, regardless the brand or type guitar you play, it will instantly crank out the most satisfying tonal quality available at any price. So do yourself and your guitar a favor: Buy a set of Gibson Brite Wires and I promise you that you'll notice the difference right from the first pluck of the strings. You just can't beat quality, and that should be Gibson's middle name.